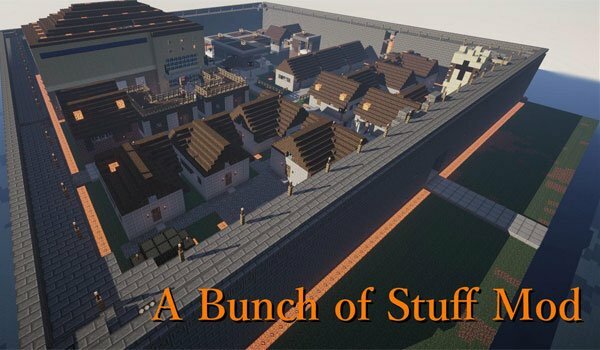 A Bunch of Stuff 1.7.2 and 1.7.10 is a mod that will encourage yout to explore world, as only will be by exploring large areas of land that you will find the different things added by this mod. Probably the first things you will find traveling arround the world will be dungeons spread in the biomes like in the jungle, were will be in the tree houses inhabited by new hostile creatures as well as hudge cities full of enemies, sand castles, strange structures in heaven, hostile caves, underwater homes and huge towers. The mod adds four new things to the game and two bosses. An also the ability to create a new armor with “special effects”, among other objects. How to install A Bunch of Stuff Mod for Minecraft 1.7.2 and 1.7.10?